These cute heart shaped, felt petal, flower pins can be worn or given for Valentine's Day or anytime. They will brighten up any outfit, hat, or purse. 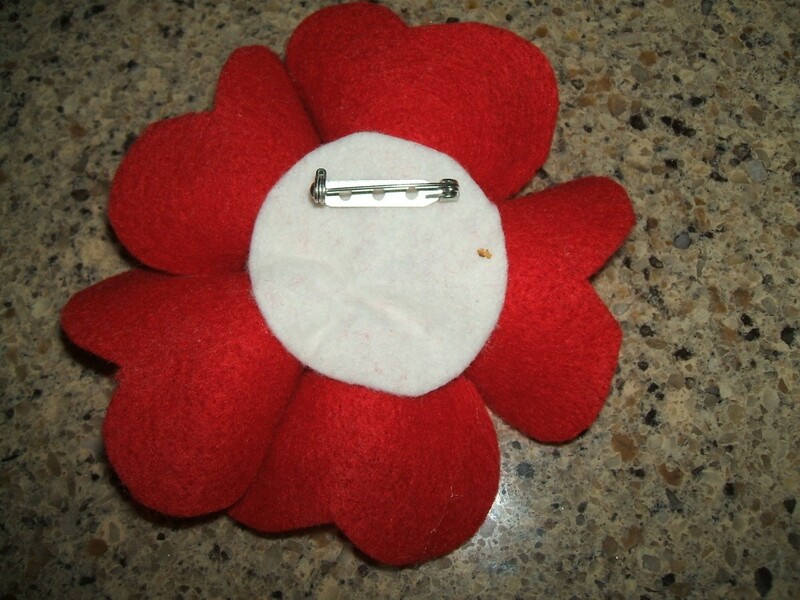 This is a guide about making a heart-shaped petal flower pin. 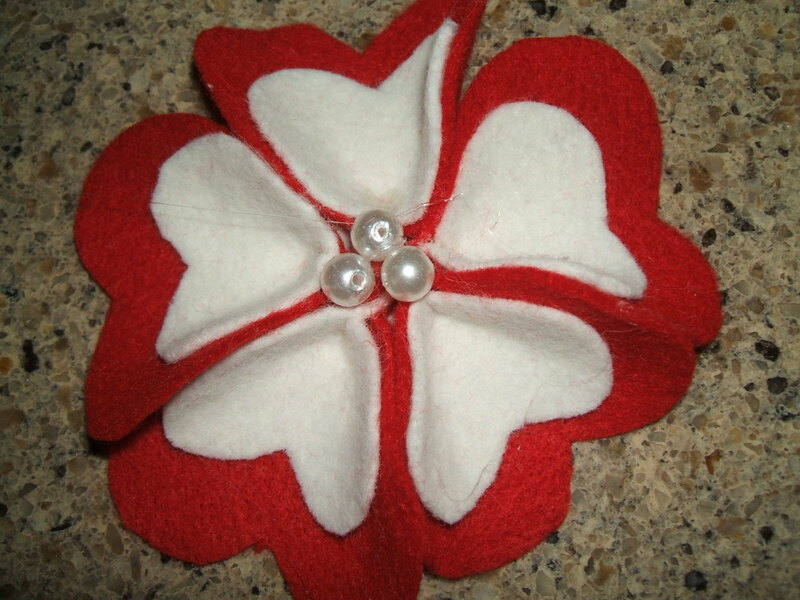 Use some felt and pearls to create cute flower pins to wear for Valentine's Day. 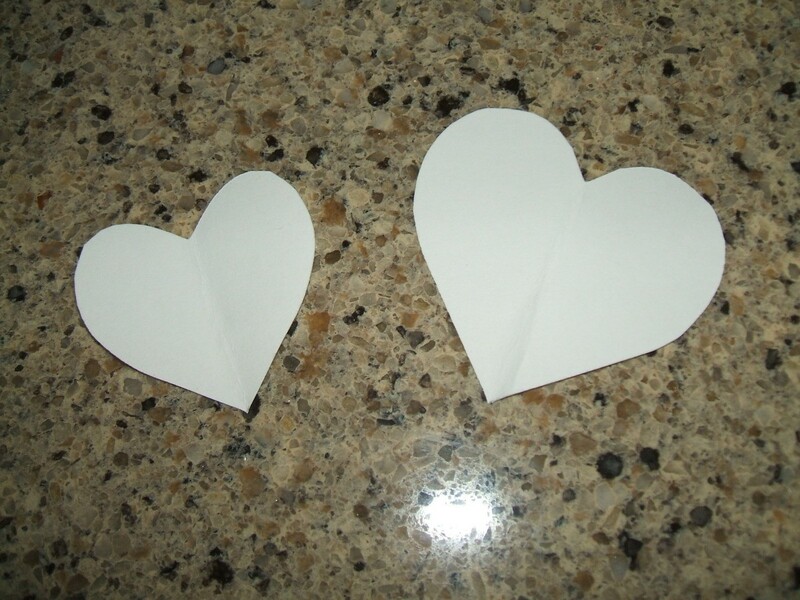 Create 2 heart patterns from card stock, with one at least 1/4 smaller than the other. 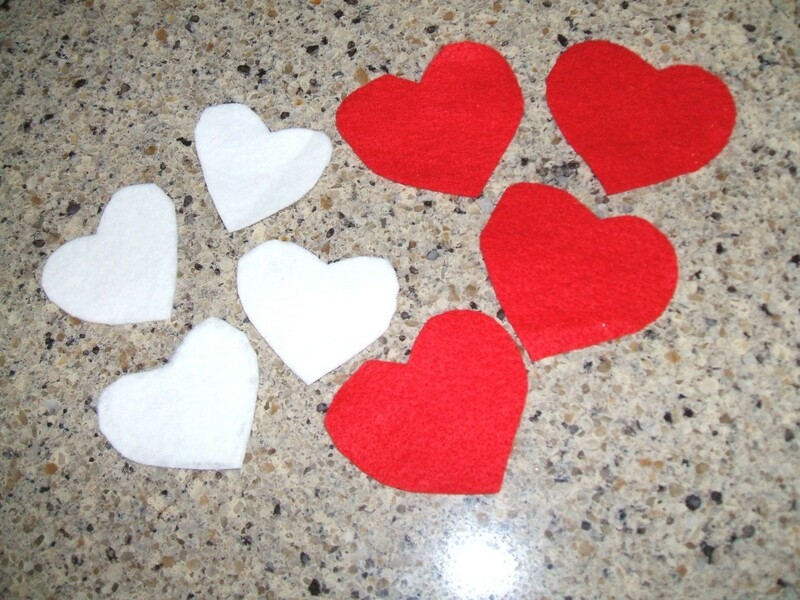 Cut 5 of the larger size hearts from red felt. 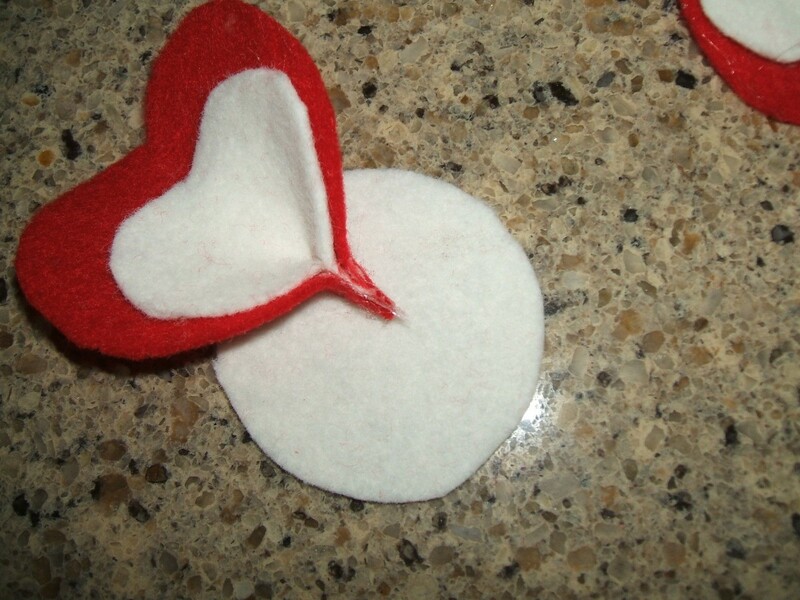 Cut 5 of the smaller hearts from white felt. 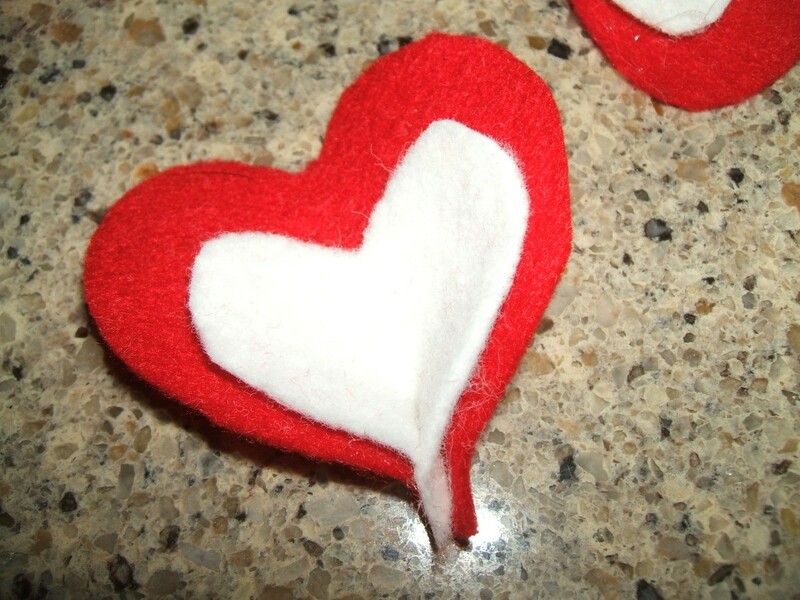 Align the point of each white heart to the point of each red heart, and glue white hearts to red hearts. Pinch together the point of each heart and apply some glue to hold each one in place as shown. 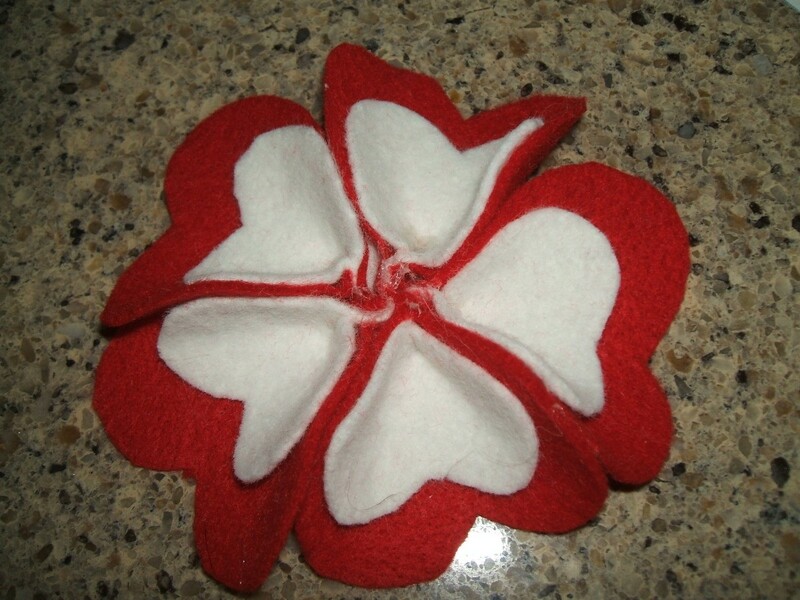 Cut a 2 inch circle from white or red felt for the base, and glue the points of the heart to the center of the circle to create the flower. Glue loose pearls to the flower center. Turn flower over and glue on a pin back.